Political analyst David Gergen to speak at 178th Commencement | The Gettysburgian. Political analyst and former presidential advisor David Gergen is set to speak and receive and honorary degree at Gettysburg College’s 178th Commencement ceremony on May 19. According to Gettysburg College President Janet Morgan Riggs, the College selected Gergen for this honor based on his extensive work in the fields of journalism and education. “He works for CNN as a political analyst and directs the Center for Public Leadership at Harvard’s Kennedy School, where he is also a professor,” Riggs said. 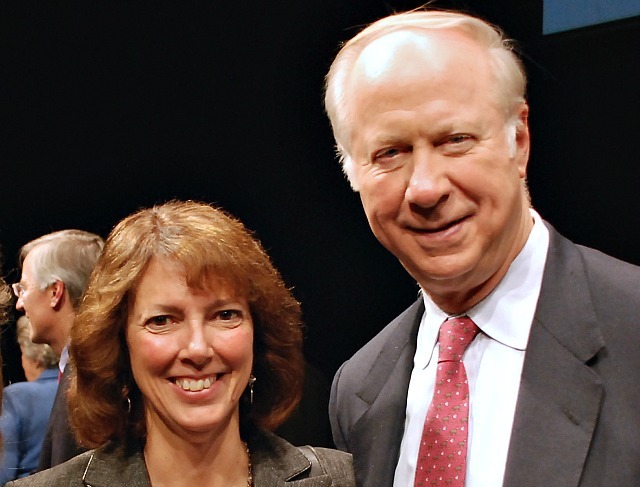 In selecting Gergen as the 2013 commencement speaker, the Board of Trustees judged him and other potential speakers on the basis of several credentials, which are evaluated and appraised as long as a year in advance. First, the potential speaker must be deemed worthy of an honorary degree. The college’s Board of Trustees votes on who is deserving of the honor, choosing from a pool of nominees. After being selected from one of the aforementioned categories, the trustees must weigh the nominee’s ability to deliver a strong message to graduating students. Third, a personal connection to the college, whether through a family member or friend teaching or attending the school, makes it easier for the College to attract the potential speaker. The administration mines students and members of various boards for connections to skilled speakers in hopes of finding an appropriate orator. Gergen meets this criterion through his connection to the parent of a Gettysburg graduate. Gergen’s assistant, Nancy Howley, is the mother of Gettysburg alum Brett Howley, who graduated in 2011. Overall, Riggs said that Gergen has all of the traits that the College looks for in a commencement speaker. In addition to Gergen’s work in journalism and education, he has also served as an advisor to presidents Richard Nixon, Gerald Ford, Ronald Reagan and Bill Clinton. As Gergen receives his degree from Gettysburg, he follows in the footsteps of previous commencement speakers, including Sandra Day O’Connor, the first female justice on the United States Supreme Court; former NAACP President and CEO Bruce Gordon; and fellow journalists Judy Woodruff and Al Hunt. According to his personal website, he has received a total of 24 honorary degrees and is an honors graduate of Yale and Harvard Law School. In addition to David Gergen, Julia Chang Bloch will receive an honorary degree during Commencement. Ambassador Bloch is the President of the US-China Education Trust, a nonprofit organization working in China to promote US-China relations thorough education and exchange. Gettysburg College’s 178th Commencement will take place on May 19 at 11 a.m. Gergen will deliver the commencement address on Beachem Portico, on the north side of Pennsylvania Hall.